Edmund Spenser. Spenser, Edmund, drawing. 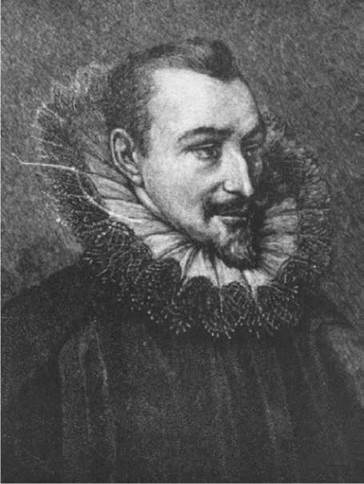 English poet Edmund Spenser was a man of his times, and his work reflects the religious, humanistic, and nationalistic ideals of Elizabethan England. His contributions to English literature—in the form of an enlarged poetic vocabulary, a flexible verse style, and a rich fusing of the philosophic and literary currents of the English Renaissance—make him one of the most influential poets of the English language, and perhaps the single most important poet of the of the sixteenth century. Educated at Cambridge. Spenser, born in London in or about 1552, was the son of a poor tailor. His early schooling took place at the Merchant Tailors’ Free School, where he received an education considered quite progressive by the standards of the day. He studied a humanist curriculum that included the study of English language and literature—an unusual innovation at the time. Spenser excelled in the study of languages in school and in 1569 went to Cambridge University. He studied Italian, French, Latin, and Greek; he read widely in classical and modern literature, and he wrote some Latin verse. Position of Influence. After completing his studies, Spenser went to the district of Lancashire where he increased his familiarity with local dialects. Shortly after leaving the university, Spenser also spent time in the service of the highly influential Earl of Leicester (Robert Dudley), who was regarded as the head of the Puritan faction of the government. By this time, Elizabeth I was England’s ruler, and the earl was her favorite for many years. With the power he wielded at court, the Leicesterled Puritan party desired war with Spain. Puritans wanted to remain with the dominant Church of England— formed by Elizabeth’s father, Henry VIII, after breaking with the Roman Catholic Church—but wanted it to be further reformed and distanced from its Catholic roots. Published First Work. Spenser’s first published work was The Shepheardes Calender (1579), which he dedicated to Sidney. This poem, consisting of twelve pastoral eclogues (or conversations between highly idealized shepherds), is full of references to the various political and religious problems of this complex period in British history as various Protestant factions as well as remaining Catholics fought for power and influence. Spenser’s time in London was also full of other literary projects, and he was already at work on what would become his greatest achievement, The Faerie Queene (1590, 1596). Meanwhile, he was also studying law and hoping to secure a position in the civil or diplomatic service. His efforts were rewarded in 1580, when, through the influence of the Earl of Leicester, he was named secretary to Lord Grey, the new Lord Deputy of Ireland. Spenser accompanied Grey to Dublin, and Ireland was to remain Spenser’s home for the rest of his life. At this time, the whole of Ireland was controlled by Great Britain. Under the rule of Queen Mary I, Elizabeth’s elder sister, the British began wholesale confiscations of Irish land and large plantations of English colonists were formed. This practice continued under Elizabeth and several of her successors. Completed Part of The Faerie Queen. By 1589, three of the seven cantos of The Faerie Queene were complete. When Sir Walter Raleigh visited the poet that year, he was so impressed with the poet’s work that he took Spenser with him back to England, where the cantos were published with an elaborate dedication to Queen Elizabeth (the ‘‘Faerie Queene’’ of the title). Spenser’s ambition was to write the great English epic. His plan was to compose twelve cantos, each concerned with one of the twelve moral virtues as classified by Greek philosopher Aristotle. Each of these virtues was to be embodied by a knight. Thus, the poem would combine elements of a chivalric romance, a handbook of manners and morals, and an epic poem about the history and character of a nation. The poem can also be read in its historical context as an allegory about the struggle between the Protestant traditions of England and the many threats posed by England’s Roman Catholic neighbors. The publication of the first three cantos of The Faerie Queene met with much acclaim, but in courtly circles Spenser was a still an insignificant figure without an official profession. In 1591, he returned to Ireland, famous but disappointed. His mood at the time may have been expressed by the title of a collection of minor poems he prepared at the time, Complaints: Sundry Small Poems of the World’s Vanity (1591). Poems Inspired by Marriage. Back in Ireland, Spenser wrote the greater part of Colin Clouts come home againe (1595), an idealized poetic autobiography dedicated to Raleigh. It is another allegorical pastoral that recounts Spenser’s reception in London and his impressions (mostly negative) of courtly life. Meanwhile, Spenser was courting Elizabeth Boyle, an Anglo-Irish woman of a well-connected family. They were married on June 11, 1594. His sonnet sequence ‘‘Amoretti’’ and his ‘‘Epithalamion’’ (both 1595) together form an imaginatively enhanced poetic chronicle of his courtship and marriage. Some of the ‘‘Amoretti’’ sonnets were probably written earlier, but Spenser intended this collection to represent the fluctuations and the emotions of his love for his wife. The ‘‘Epithalamion’’ is generally acknowledged to rank among the greatest love poems in English. The poem is ingeniously constructed with twenty-four stanzas to represent the twenty-four hours of the wedding day, with many other more subtle parallels. Named Sheriff of Cork. In 1595, Spenser returned to London and stayed for more than a year. He published three more cantos of The Faerie Queene and several other works, including his View of the Present State of Ireland (1633), a prose tract in which he defended the policies of his earlier patron, Lord Grey, in dealing with rebellious Irish subjects and reforming their government. Spenser eventually did receive his long-awaited government position when he was named sheriff of the Irish county of Cork in 1598. He had hardly taken control of that office when a local political revolt broke out. Spenser’s home was burned, and he was forced to flee Cork with his family, which now included four young children. John Webster (c. 1580-1625): An English dramatist, Webster was popular for his tragedies about bloody revenge stories. While plays such as The White Devil (1612) and The Duchess of Malfi (1613) are not nearly as sophisticated as Shakespeare's tragedies, they are often seen as comparable in their energy and poetic lyricism. Tomas Luis de Victoria (c. 1548-1611): A Spanish composer who was quite important in his time in Spain. He was also a priest, and his religious music captures much of the evocative mysticism of the Spanish Catholic church. William Shakespeare (1564-1616): An English playwright who is widely recognized as one of the greatest poets and dramatists in English literature. Shakespeare was enormously innovative, fusing existing stories and historical materials into plays that remain unsurpassed in the originality of their construction and their emotional impact. His plays include Romeo and Juliet (1595) and Julius Caesar (1599). James I (1566-1625): James was the king of England from 1603 to 1625. He was the king of Scotland when Elizabeth I, the queen of England, died without an heir in 1603. His insistence on the ''divine right of kings,'' or the right of the king to base his personal authority on the will of God, helped to bring about the English Civil War. Tintoretto (1518-1594), pseudonym of Jacopo Robusti. Tintoretto was one of the most prolific and influential portrait artists in Renaissance Venice. He is famous for his innovations in perspective that give a new dynamism to his paintings of New Testament scenes, including Crucifixion (1565) shown from a side angle and Last Supper (1592-1594) seen from an upper-diagonal angle. Spenser was a product of the Renaissance (a word that means ‘‘rebirth’’), an outburst of artistic and intellectual activity that began around the late fifteenth century, and greatly influenced by its ideas and ideals. One of the results of a confluence of money, reform, exploration, and a revived spirit to carpe diem (‘‘seize the day’’) at this time was a cultural movement known as humanism. Humanism shifted the emphasis from the afterlife to this life. The focus was on man in the world, engaged in his civic duty and doing many things well, from poetry to warfare (the ‘‘Renaissance Man’’ ideal). Humanism. Spenser was one of the earliest English Renaissance poets to explore humanist ideas for everything they could contribute to English language and poetry. He was close with the greatest humanists of Elizabeth’s court, including the courtier/poet Philip Sidney and the explorer Walter Raleigh. But Spenser was the first to attempt to pull various strands of humanist thought together into a single poem that would combine the best of the past with the controversies and challenges of the present, capturing it all in an epic structure that would assure its permanence for the future. The Taerie Queene borrows from classical philosophy a vision of love and beauty that operates in parallel harmony on both the human and divine levels. It also shares the classical values of a disciplined analysis of morals and personal responsibility. What Spenser brings to The Taerie Queene from his own time is a strong Protestant sensibility, making all of his heroes embody good Calvinist or Anglican traits and his villains represent the lies of Roman Catholicism. The Taerie Queene is therefore a perfect example of the fusion of classical and Christian ideals that is central to Renaissance humanism. Poetic Language. The Taerie Queene and The Shepheardes Calender are interesting humanist texts because of their distinctive use of poetic language. Spenser was a student of classical and European languages, and his study was unusual for also including the history of the English language. It had long been assumed that literature written for the ages must be written in Latin, and that if English were to be used, it should certainly avoid unrefined regional dialects that only a limited number of people would understand. Spenser believed that the English language and the structures of folksongs were capable of poetry on the highest level, and he took a nationalistic pride in the achievement of such medieval poets as Geoffrey Chaucer and John Gower. He felt that English (including its regional dialects) had the ability to dignify great poetry, just as great poetry can in turn dignify the evolving language. The unusual and archaic spellings of Spenser’s works may seem awkward to modern readers, but in Spenser’s day, they were a bold, scholarly, and even patriotic assertion of the poetic capabilities of English speech—especially when used for the most dignified classical form of them all, the epic. Influence. In his own time, Spenser exerted an influence on English culture that rivaled that of any poet in the language. Such contemporaries as Michael Drayton, Samuel Daniel, and Thomas Lodge were beginning to imitate The Taerie Queene and The Shepheardes Calender, and Spenser’s influence continued to grow among writers of the seventeenth century such as Ben Jonson and John Milton. Even more striking, however, is the response of writers in the eighteenth century, during which time scores of poets produced literally hundreds of imitations, adaptations, and continuations of Spenser’s works. No other English poet except Milton can claim a greater following among the writers of that period. By the nineteenth century the flood of imitations in England had narrowed, but it had also grown deeper. Along with Chaucer, Shakespeare, and Milton, Spenser stood as one of the great English sources of inspiration for the Romantic age, providing in The Taerie Queene the quasi-medieval setting, the romance form, the structural patterns, the archaic language, and the mingling of the natural with the supernatural that became the very stuff of Romanticism. Every one of the major Romantic poets was a serious reader of Spenser’s works. In England, prose writers such as Sir Walter Scott, Charles Lamb, and George MacDonald were deeply touched by Spenser’s work, and in America, where religious sympathies were perhaps closer to Spenser’s own devout brand of Protestantism, Nathaniel Hawthorne and Herman Melville turned to The Taerie Queene for its moral allegory. Everyman (c. late fifteenth century), a play by an unknown author. This is a ''morality play,'' a form of allegorical drama authorized by the Catholic Church to teach Bible stories and moral lessons to common people. In this perfect example of the genre, the title character, Everyman, receives a summons from Death, but Good Deeds is the only one of his friends—the others include Fellowship, Kindred, Worldly Goods, Beauty—who can go along with him to the final meeting. ''Young Goodman Brown'' (1835), a short story by Nathaniel Hawthorne. In this allegory, set in Puritan New England, a young man has his faith tested during a late- night walk in the woods. From the sixteenth century to the present day, Spenser’s work has maintained a place of distinction in English literature. His masterpiece, The Taerie Queene, was very favorably received upon its publication and has remained popular ever since. While The Shepheardes Calender was also enthusiastically praised by early critics, its popularity waned by the twentieth century, and it is now considered a minor work. Nonetheless, Spenser’s importance and his impact on the development of English poetry has been judged incalculable. While twenty-first-century critics generally agree with this judgment, much of the more recent criticism of his work has concentrated on its allegorical aspects and on Spenser’s role as a stylistic innovator. 1. Write an essay in which you address these questions: What are the values of heroism seen in the knights of The Taerie Queene? How have they been modified from the medieval sources for a Renaissance audience? 2. Does The Shepheards Calender reflect humanist values, or is the pastoral too idealized and nostalgic a form to contain such progressive ideas? Answer in the form of a an essay. 3. How does structure reinforce meaning in the ‘‘Epithalamion’’? How are the years, months, days, and hours represented in the form of the stanzas and in the form of the poem overall? Create a presentation with your conclusions. 4. Spenser used archaic and unusual spellings of words in his works to good effect. Can you think of a contemporary writer that plays with spelling, grammar, or form to the same effect? Research a writer that does this and find out why. Could they, like Spenser, be making a statement about language and speech? How so? Be specific in your analysis in your paper. Berger, Harry, Jr., ed. Spenser: A Collection of Critical Essays. Englewood Cliffs, N.J.: Prentice Hall, 1968. Bradshaw, Brendan, Andrew Hadfield, and Willy Maley, eds. Representing Ireland: Literature and the Origins of Conflict, 1534—1660. Cambridge: Cambridge University Press, 1993. Cavanagh, Sheila T. Wanton Eyes and Chaste Desires: Female Sexuality in ‘‘The Faerie Queene’’. Bloomington: Indiana University Press, 1994. Hamilton, Donald Cheney, W. F. Blissett, David A.
Richardson, and William W. Barker, eds. The Spenser Encyclopedia. Toronto: University of Toronto Press, 1990. Hieatt, A. Kent. Short Time’s Endless Monument: The Symbolism of the Numbers in Edmund Spenser’s ‘‘Epithalamion.’’ New York: Columbia University Press, 1960. Johnson, Lynn Staley. ‘‘The Shepheardes Calender’’: An Introduction. University Park: Pennsylvania State University Press, 1990.